Though gastroesophageal reflux disease (GERD) has been a prevalent disease in Western countries, the incidence of GERD has only just started to increase in Japan. The aim of this study was to determine which lifestyle factors may be associated with GERD in Japan. A total of 2,853 participants who took part in a health examination program between July 2004 and March 2005 were enrolled. GERD symptoms were assessed using the Japanese version of the Carlsson-Dent self-administered questionnaire (QUEST). The GERD group consisted of participants with a QUEST score ≥6 and/or endoscopic findings. The GERD group was divided into asymptomatic ERD (erosive reflux disease with no symptoms), symptomatic ERD (erosive reflux disease with symptoms) and NERD (non-erosive reflux disease) groups. Associated factors for these diseases were analyzed by logistic regression analysis. GERD was diagnosed in 667 (23.4%) participants. Among the subjects placed in the GERD group, asymptomatic ERD, symptomatic ERD and NERD were diagnosed in 232 (8.1%), 91 (3.2%) and 344 (12.1%) participants, respectively. Factors associated with GERD included a high BMI (body mass index), hiatus hernia, fewer hours of sleep, lack of exercise, and drinking green tea. Relationships between lifestyle, gender and GERD were investigated in the present study. Both lifestyle improvements and consideration of gender differences can be used to help prevent GERD development. Gastroesophageal reflux disease (GERD) is prevalent in Western countries, with GERD frequencies reported to be higher in Western versus Asian populations. This suggests that Western lifestyles may contribute, in part, to the development of GERD . It has been widely postulated that GERD is closely linked to lifestyle factors that directly facilitate acid reflux through the weakening of the reflux barrier, by stimulating acid secretion, or by intra-abdominal pressure. Recently, GERD incidence has been increasing in Asian countries, particularly in Japan [2, 3, 4]. This increase may reflect changes in Asian lifestyles. Over the last two or three decades, an increasingly westernized Japanese lifestyle has been observed. During this same period, with the exception of young women, there has also been an increase in the BMI (body mass index) of the Japanese population. While the proportion of total calories consumed from fat in the typical Japanese diet has been increasing since 1995 , traditional customs have also been preserved, with Japanese eating habits still differing from those normally observed in Western countries. Thus, the current lifestyle in Japan is a unique fusion of the traditional Japanese and Western lifestyles. However, the specific relationship between GERD and the current modern lifestyle of the Japanese population has yet to be elucidated. With regard to the relationship between gastrointestinal diseases and gender, the majority of the functional gastrointestinal disorders, which include irritable bowel syndrome, are more prevalent in women than in men . As GERD is a gastrointestinal disease that is related to gastrointestinal motility, gender might influence these GERD-related diseases, similar to that which is seen for functional gastrointestinal disorders. 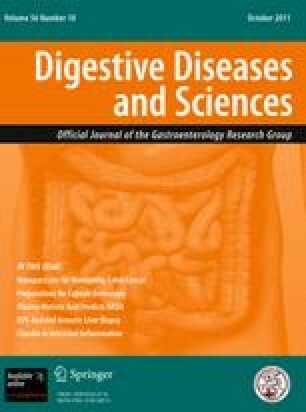 Based on these perspectives, the current study was conducted in order to: (1) examine the relationships between GERD and lifestyle or the gender of the participants undergoing health examination programs; and (2) devise new methods that can be employed to either prevent or improve the symptoms of GERD. This study was conducted in accordance with the Declaration of Helsinki. The ethics committee at Kumamoto University approved the protocol (Approval No. 87, issued April 4, 2004), and all subjects provided written informed consent prior to participation. Subjects with peptic ulcer disease, upper gastrointestinal malignancy, Zollinger–Ellison syndrome, esophageal ulcer due to NSAIDs (non-steroidal anti-inflammatory drugs) administration for arthritis, pregnancy, or subjects with a history of either esophagogastric surgery or Helicobacter pylori (H. pylori) eradication therapy were excluded from the study. Subjects were recruited from the persons visiting the Japanese Red Cross Society Kumamoto Health Care Center for a health examination program between July 2004 and March 2005. A total of 2,853 participants (1,975 men, 878 women; mean age, 56.8 years; range, 27–88 years) were enrolled in the study, with the majority of the subjects being socially active, productive, and from an upper-middle socio-economic class. All participants underwent upper gastrointestinal endoscopy as a part of their routine examination. A precise medical history was taken, followed by a physical examination. Presence or absence of GERD symptoms was assessed using the Japanese version of the Carlsson-Dent self-administered questionnaire (QUEST) . In order to examine the influence of lifestyle on the disease, hours of sleep, exercise frequency, smoking habits, and the intake of alcohol, green tea and coffee were recorded. Participants were divided according to the frequency of exercise (more than once a month or less than once a month). In addition, participants who were current smokers, drank alcohol or coffee often or everyday, or who drank green tea everyday were classified as the positive group. Participants placed in the negative group included past smokers and those subjects who did not drink alcohol, coffee or green tea. Quantities of non-essential grocery items were not considered during the current analyses. All participants completed a questionnaire related to their eating habits (Table 1). As this questionnaire specifically asked about commonly eaten Japanese foods, the questionnaire served as a way of examining Japanese lifestyle, especially eating habits. Q1. Do you eat breakfast every morning? Q2. Is the seasoning of your meals plain? Q3. Do you cut down on pickles, salty cod roe or food boiled down in sweetened soy? Q4. Do you cut down on sweets? Q5. Do you cut down on sweet beverages? Q6. Do you eat seafood more than 4 times a week? Q7. Do you eat processed soybeans (tofu, natto) every day? Q8. Do you have milk or dairy goods every day? Q9. Do you have vegetable dishes with every meal? Q10. Do you have seaweed and mushrooms once a day? All participants underwent upper gastrointestinal endoscopy using a high-resolution endoscope (GIF240 series; Olympus, Tokyo, Japan). Endoscopists performing this study were specialists who worked in the Japanese Red Cross Kumamoto Health Care Center. Esophagitis was assessed using the Los Angeles (LA) classification , and participants with grade A through D were enrolled in the study. Hiatus hernia was diagnosed when a space in the orifice of stomach was apparent in the reversed image. In accordance with previous reports, C1–C3 grades were defined as closed-type atrophy of the stomach, while O1–O3 grades were classified as open-type atrophy [9, 10]. The grade of open-type gastric mucosal atrophy (GMA) is considered to be more severe than a grade of closed-type gastric mucosal atrophy. We defined the GERD group as those participants who were diagnosed with esophagitis by endoscopy and/or with QUEST scores ≥6. Previous studies have shown that a cut-off score of 6 indicates a higher specificity for GERD diagnosis as compared to patients with scores of only 4 [7, 11]. In a study by the Osaka GERD Society, Japanese subjects showed a sensitivity of 72 and 65% and a specificity of 54 and 74% when the cut-off score was set at either 4 or 6, respectively . The GERD group was divided into an esophagitis subgroup (ERD, erosive reflux disease) and a symptom only subgroup (NERD, non-erosive reflux disease). ERD was further divided into asymptomatic ERD (subjects having esophagitis without symptoms) and symptomatic ERD (subjects with esophagitis and symptoms) groups. All other participants were placed in the normal group. For comparisons between the groups, the χ2 test, Student’s t test, and Mann–Whitney test were used for statistical analyses, with values of P < 0.05 considered to be statistically significant. Multiple logistic regression analysis was also performed to calculate odds ratios. This test only used the significant associated factors that had been obtained in the univariate logistic regression analysis. All calculations were performed using SPSS version 11.0 software (SPSS, Chicago, IL, USA). GERD was diagnosed in 667 (23.4%) out of the 2,853 participants. Among the subjects placed in the GERD group, asymptomatic ERD, symptomatic ERD and NERD were diagnosed in 232 (8.1%), 91 (3.2%) and 344 (12.1%) participants, respectively. The ratio of men to women was significantly lower in the NERD group, and higher in the asymptomatic ERD group as compared to the normal group. Mean BMI was significantly higher in the GERD, asymptomatic ERD, and symptomatic ERD groups as compared to the normal group (Table 2). When compared to the normal group, hiatus hernia frequency was significantly higher in the GERD, asymptomatic ERD and symptomatic ERD groups (Table 2). Closed-type atrophy was significantly more frequent in asymptomatic ERD than in the normal group (Table 2). There was no relationship noted between the LA grade and the symptoms (data not shown). The NERD group slept significantly fewer hours compared to the normal group. The proportion of participants who exercised was significantly lower in the GERD, symptomatic ERD, and NERD groups, while it was higher in the asymptomatic ERD group, as compared to the normal group. When compared to the normal group, the proportion of smokers to non-smokers was significantly higher in the GERD, asymptomatic ERD, and symptomatic ERD groups, while it was lower in the NERD group. The proportion of alcohol drinkers was significantly higher in the asymptomatic ERD group while the proportion of green tea drinkers was significantly higher in the GERD and NERD groups when compared to the normal group (Table 2). With regard to eating habits, as compared to the normal group, the proportion of participants who added seasonings (Table 1, Q2) was higher in the symptomatic ERD group. The proportion of participants who cut down on sweets (Table 1, Q4) was significantly higher in the asymptomatic ERD group, but lower in the NERD group, and the proportion of participants who cut down on sweet beverages (Table 1, Q5) was higher in the symptomatic ERD group. The proportion of participants who reported eating fish ≥4 times/week (Table 1, Q6) was significantly higher in the asymptomatic ERD group as compared to the normal group (Table 3). We compared asymptomatic ERD and symptomatic ERD in order to determine the role of lifestyle factors in the GERD symptoms. We analyzed each of the asymptomatic ERD and symptomatic ERD factors by using the χ2 test. Only the participants who exercised in the asymptomatic ERD group had a significantly higher value when compared to the symptomatic ERD group (Table 2). Odds ratios for GERD were analyzed by multivariate logistic regression. Significant factors associated with GERD included BMI, hiatus hernia (positive), fewer hours of sleep, lack of exercise, and drinking green tea. When subgroups were analyzed, male gender, BMI, hiatus hernia (positive), closed-type atrophy, and eating seafood (Table 1, Q6) were significantly associated with asymptomatic ERD. Significant associated factors for symptomatic ERD included BMI, hiatus hernia (positive), and smoking, while female gender, fewer hours of sleep, lack of exercise, and drinking green tea were significant associated factors for NERD (Table 4). Associated factors for disease were also analyzed according to the gender of the participants. Age was a significant associated factor for GERD in women, while BMI was a significant associated factor for asymptomatic ERD in men. Both genders showed a significant association between hiatus hernia and GERD, asymptomatic ERD, and symptomatic ERD groups. In men, closed-type atrophy was a significant associated factor for asymptomatic ERD, while fewer hours of sleep was a significant associated factor for NERD. Besides, smoking was a significant associated factor for symptomatic ERD in men. In women, a lack of exercise was a significant associated factor for both GERD and NERD (Table 5). A total of 23.4% of the participants in the present study were classified as having GERD. Within this GERD group, the number of participants in the asymptomatic ERD, symptomatic ERD and NERD groups were 232 (8.1%), 91 (3.2%) and 344 (12.1%), respectively. A previous study reported on GERD-related diseases in physically unimpaired subjects and participants who took part in a health check-up for the Japan Society of Comprehensive Medical Check-up Standards (‘Ningen Dock’) . The incidences of GERD, reflux esophagitis, and NERD reported in the study were 17.9, 7.1, and 10.9%, respectively, which differ from our present findings. Possible explanations for this discrepancy might include regional variations and/or differences in the background population. However, the proportion of men and women in the GERD group in the present study was similar to other previous reports [6, 12, 13]. When the odd ratios for GERD were analyzed by multivariate logistic regression, several significant associated factors were identified (Table 4). Among these factors, BMI and hiatal hernia have already been reported as associated factors for GERD [13, 14, 15]. Sleeping fewer hours, lack of exercise and drinking green tea are related to lifestyles, and thus, are novel significant associated factors for GERD. When we focused on the subgroups, BMI, hiatus hernia and smoking were significant associated factors in the symptomatic ERD group, similar to that previously reported [14, 15]. In contrast, several novel associated factors were identified in the current study. Eating fish was a factor in asymptomatic ERD and sleeping fewer hours, lack of exercise and drinking green tea were factors associated with NERD. Although the precise mechanisms for why a subject sleeps fewer hours remain unknown, gastric motor function is known to be active during sleep [16, 17]. Thus, sleeping fewer hours could disturb the gastric motor function and induce GERD. A shorter dinner-to-bed time has also been described as being associated with GERD . Although the dinner-to-bed time was not examined in the participants in the present study, individuals leading a busy life would plausibly tend to eat dinner later at night, possibly resulting in both a shorter dinner-to-bed time and a reduced sleeping time. Taken together, long, busy days could very well induce GERD due to the fewer hours of sleep that result because of such a lifestyle. In addition, there may be mental factors involved in NERD, as nervous participants complained of a lack of sleep, which ultimately could have led to their developing NERD. On the other hand, GERD symptoms might be the reason for the shorter sleeping times. Although the present findings demonstrated that shorter sleeping times were strongly associated with GERD and NERD (Table 4), it remains unclear as to whether these shorter sleeping times are a cause or a result of the GERD symptoms. Further investigations will be necessary to address this issue. Lack of exercise was also a significant associated factor for GERD and NERD in the present study. Obesity has been previously reported to be a risk factor of GERD [19, 20]. Although a lack of exercise could lead to obesity, no relationship between the frequency of exercise and BMI was seen in the present study (data not shown). Furthermore, regular exercise reportedly has a protective effect against acid reflux , and physical exercise has been shown to act as a protective influence against GERD . These previous reports support the present findings that a lack of exercise is an independent significant associated factor for GERD. With regard to beverages, the present study also demonstrated that drinking green tea was a significant associated factor for GERD and NERD. Traditionally, Japanese have always been green tea drinkers. Although a relationship between drinking tea and GERD has been reported in European countries , European tea and green tea are not the same. Caffeine is an ingredient of both typical European tea and green tea, and it appears likely to contribute to GERD. However, drinking coffee was not found to be a significant associated factor in the present study. As to other ingredients in tea, catechin possesses diverse pharmacological properties including having anti-oxidative, anti-inflammatory, anti-carcinogenic, anti-arteriosclerotic and anti-bacterial effects . Green tea consumption has also been shown to be negatively associated with the risk of chronic atrophic gastritis , as green tea can suppress the proliferation of H. pylori in the stomach and inhibit the progression of chronic atrophic gastritis [26, 27]. Therefore, green tea should increase, if not preserve, gastric acid secretion that leads to the development of GERD symptoms. This was reflected in our present analyses, as we found green tea to be a significant associated factor for both GERD and NERD. With regard to food consumption, eating seafood is also a novel associated factor for asymptomatic ERD. Preparation of food and the recipes used in Japan are often times unique, and include eating raw fish served by itself as sashimi, or combined with rice and served as sushi. On the other hand, table salt intake has been reported as a significant risk factor for GERD . Seafood, which is sometimes strongly seasoned, could thereby be associated with GERD, particularly with asymptomatic ERD. As to gender differences, age and lack of exercise, these were significant associated factors for GERD in women (Table 5). In particular, the finding that age can be an associated factor for GERD leads to the speculation that menopause might be an important issue for GERD in women. A previous experimental study has demonstrated that estradiol inhibits gastric emptying, whereas testosterone has no influence on gastric transit . Another report also examined the influence of menopause, hormone therapy and obesity and found there was an association with GERD in women . However, the present study did not find menopause itself to be an associated factor for GERD (data not shown). Although the BMIs of women were not significantly different before and after menopause in the present study, BMIs of older women tended to be higher as compared to younger women. On the contrary, no such tendency was observed in the men in this study (data not shown). Although BMI itself was not an associated factor for GERD in women according to the present analyses, the distribution of fat changes with age in women. This leads to fat accumulation in the internal organs  and an increase in the intra-abdominal pressure. When these findings are taken together, it can be postulated that age might be an associated factor for GERD in women. To determine the role of lifestyle factors in GERD symptoms, we compared an asymptomatic and symptomatic GERD group. This comparison indicated that only the frequency of exercise was associated with the GERD symptoms. In addition, the frequency of exercise was associated with NERD (Table 4). Though at the present time the reason for this is unclear, we can theorize that perhaps the frequency of exercise is strongly associated with GERD symptoms. A relationship between GERD and Barrett’s esophagus has been previously described. Barrett’s esophagus is a risk factor for adenocarcinoma of the esophagus , which is rare in Japan . Since the frequency of GERD is increasing in Japan, there is a chance that Barrett’s esophagus and adenocarcinoma of the esophagus may also be on the rise in Japan. Therefore, the occurrence and progression of GERD in the Japanese population warrants further attention. In the present study, asymptomatic ERD was present in 8.1% of the survey respondents. While the participants with asymptomatic ERD were not principally healthy, a lack of symptoms may be one of the reasons why they had not previously visited health clinics for treatment of their ERD. Asymptomatic ERD cannot be detected in general medical facilities, as the only way to document the disease is through endoscopy. Therefore, addition of an endoscopic screening to a health examination program for the purpose of early detection of gastrointestinal disease in the absence of symptoms could prove to be very advantageous. In conclusion, the present study clearly demonstrated that even nonsymptomatic people can suffer from GERD, and that lifestyle and gender differences may very well modulate GERD in individuals. Since lifestyle modification is considered to be a first-line treatment for all GERD patients, exercise and adequate sleep needs to be recommended for reducing the risk of GERD. Moreover, because a lack of exercise in women, and smoking and the lack of sleep in men were demonstrated to be significantly associated with GERD, both lifestyle improvements and consideration of gender differences could potentially help prevent the development of GERD. We wish to express our gratitude to Ms. Yoko Wakaki (Japanese Red Cross Kumamoto Health Care Center) for her assistance.